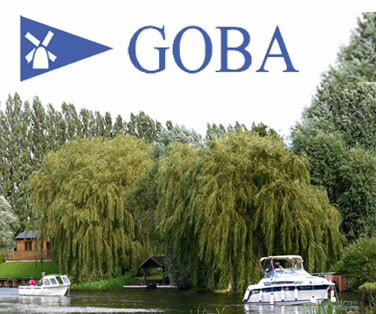 Most glass fibre boats will be lifted out of the water for winter at least every other year and it is during this period that antifouling paint needs to be reapplied. Antifouling paint is designed as a barrier to protect the hull from the growth of marine life; by incorporating a variety of biocides, as well as copper, the paint creates an environment that discourages biological growth on the hull. Self eroding antifoul is most common on inland waterways; as well as incorporating biocides and copper, they gradually disintegrate once submerged as a strategy for preventing contaminates from clinging to the structure. This is why it is important to renew the paint every couple of years preventing the hull from becoming infested with algae and barnacles. Remember, antifouling paint is toxic and the process for renewing it is messy, always wear appropriate protection; gloves, goggles and a mask are prerequisites when working with this paint as well as overalls to stop the paint (new and old) from irritating your skin. 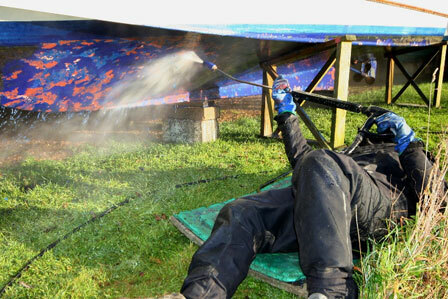 The first step we follow at our yard is to pressure wash the hull. 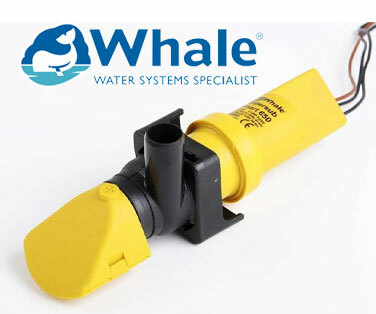 This removes organic matter as well as a substantial amount of old, soft antifouling. We do this as soon as we can once the boat is out of the water, before the hull has been given the chance to dry out go hard. A lot of the old paint is removed by the pressure washer and often you are left with a reasonable surface which requires little work beyond a touch of sanding in order to prepare for fresh paint. However, after several years thick layers of paint accumulate and the surface may require stripping right the way back to the gelcoat.This needs to be done if there are visible craters surrounded by thick layers of old antifouling or excessive flaking. 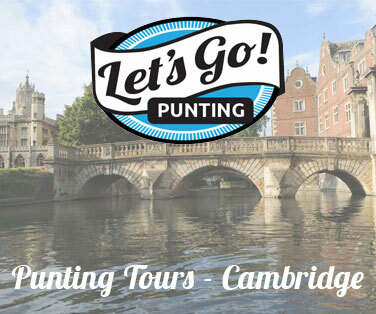 If you’re not sure what preparation method you require it is best to ask your marina at this point. If you make the decision to strip the paint off right back to the original hull be prepared for a long and messy process. There are two basic methods of doing this; dry scraping or chemical stripping. For both of these you will need to clean the hull, best done with a pressure washer (as mentioned above). 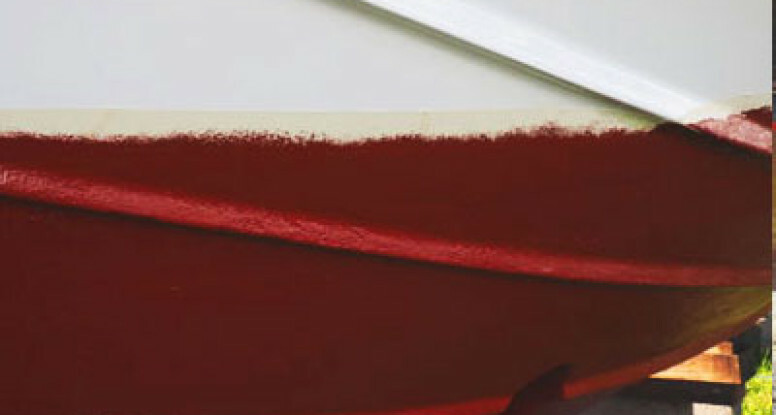 Dry scraping can be done with a flat paint stripping knife (the type you might use to remove wallpaper) or a specialist tungsten-carbide blade scraper which is extremely sharp and efficient if used with the correct technique. Which you choose is really up to personal preference, remembering you will have to avoid the sharp edges of blades gauging the gelcoat underneath. The second option is to use a chemical stripper to break down the antifouling which can then be removed with light scraping. In our yard we use International ‘Interstrip AF’, which we liberally apply to the hull with an old brush. International advise leaving it to work for at least 10 minutes but the longer you can afford to leave it the easier it will be to remove the paint. You then simply remove the gunk with a blunt scraper. In most cases, using the dry scraping or chemical stripping method, the original primer will be left unharmed on the hull. 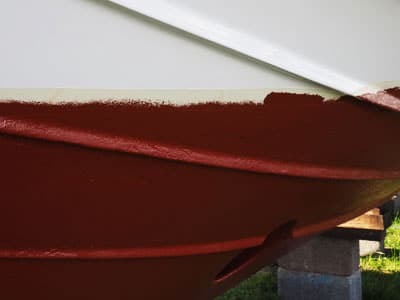 However, if you suspect you need to re-prime your hull make sure to use the appropriate primer for the antifoul system you are going to use i.e. if you are using International antifouling use their ‘Primcon’ primer. Should you be lucky, and the antifouling is uniform enough to be applied over with fresh coats, some careful preparation is still required. The pressure washer we use in our yard is high powered enough to remove old and flaking paint and generally leaves the surface sound for fresh paint. As a result we only usually need to follow this up with spot sanding; concentrating on imperfections such as tough barnacle residue or stubborn flakes. However if you are using a less powerful domestic pressure washer, or washing the hull down by hand, it is likely you will need to give the whole hull a good scratch to create a sound surface. 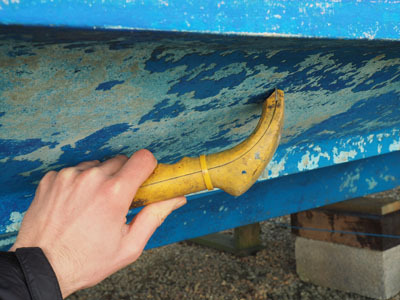 Antifouling is toxic and should never be dry sanded, so use specific ‘wet and dry’ paper. The coarseness of the paper will depend on the state of the hull but will usually range somewhere between 40 and 180 grit (ask your chandler if unsure). It is at this point, when the hull has been keyed and you are happy the surface is ready for paint, that you might notice imperfections such as pitting or scratches. If you do notice such imperfections this is the time to repair them, usually using a marine filler, however if you are unsure or concerned it is best to seek the advice of a fiberglass specialist. 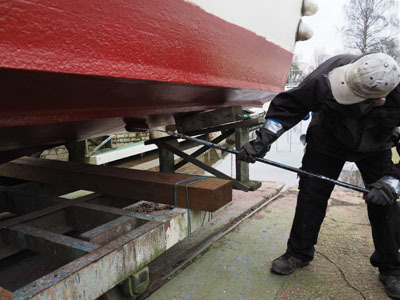 Like all paint jobs, once the surface has been prepared it is important to mask around areas where you don’t want paint; this is especially important when antifouling as you want to achieve that nice clean line where the antifoul meets the glossy hull. Mask carefully around the waterline and any instruments below the boat. The edge of the masking tape should be lightly sanded to create a clean line. Remember masking tape needs to be removed swiftly once you are finished painting or it can get very difficult to remove. ‘Blue’ masking tape is UV resistant and can be left adhered for longer periods. 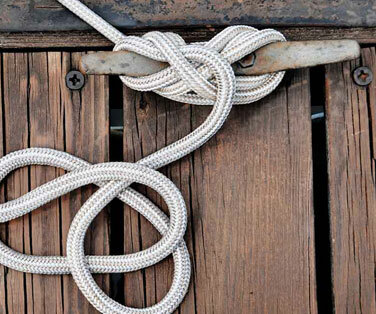 The market for antifoul is very competitive and there’s certainly no shortage of brands and varieties to choose from. 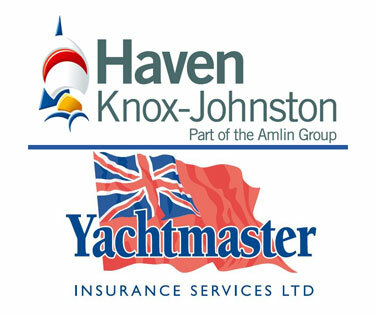 International alone have more than 10 varieties of antifouling on the market to cater for all types of boating, hull substrates and water compositions. At its simplest these paints differ predominantly on their hardness, the type of water they are designed to be used in, their copper content and the speed at which they erode (if they do at all). For example, an offshore power boat will want an antifouling that doesn’t erode and has a hard shell that can be polished to reduce drag. However, for use on the River Great Ouse a self-eroding antifoul is required and International’s Boatguard EU generally lasts two seasons of normal river use, as does Hempel’s Classic Antifoul. Harder antifouls such as International Cruiser Uno are available for performance craft, and for a bright white finish try International Cruiser Bright White. As a result of changing regulations within the EU, marinas such as ours now prefer to use commercial antifouling paints within their workshops. These paints last longer and have greater toxicity, but can only be applied by trained professionals and are hence not available on the chandlery shelf. Once all the preparation is done and the area masked off application is a relatively straight forward process. Do the obvious weather checks before you start, rain would spell a disaster but you’ll also want a relatively mild day, if it’s too cold the paint will be too thick and coverage will be reduced. ‘Boatguard EU’ can be applied with either brush or roller, we find a 7 inch short pile roller works fine, with a smaller roller and brush to hand for tricky areas. 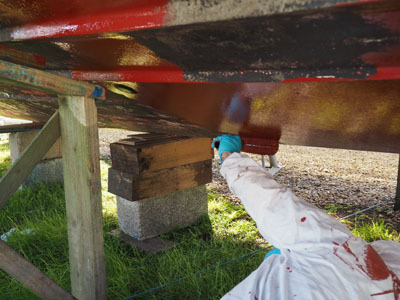 Remember to give your antifoul a good stir before you begin as the paint will contain a complex formula of biocides which you don’t want to be left sitting in the bottom of the tin. Try to be methodical when painting the hull, it is easy to mistake where you have and haven’t been.